William Parker is not only one of the most important composers and bassists in the creative music world, he also occupies an influential role as an integral figure in contemporary US avantjazz, for example through his association with the annual New York Vision Festival. This jazz festival is the successor of the Sound Unity Festival, which he initiated in 1984 together with Peter Kowald. In the 1970s he led his own groups such as Centering Music And Dance Ensemble, The Aumie Orchestra, and was a member of groups lead by Cecil Taylor, Frank Lowe, and Don Cherry. In the 1980s he played with Bill Dixon, Peter Brötzmann, David S. Ware and Matthew Shipp. In 1993 he started his quartet called In Order To Survive and the Little Huey Creative Music Orchestra in 1994 and more recently The William Parker Quartet and the quintet Raining On The Moon as well as other special projects including the inside songs of Curtis Mayfield “Music And The Shadow People” and many others. 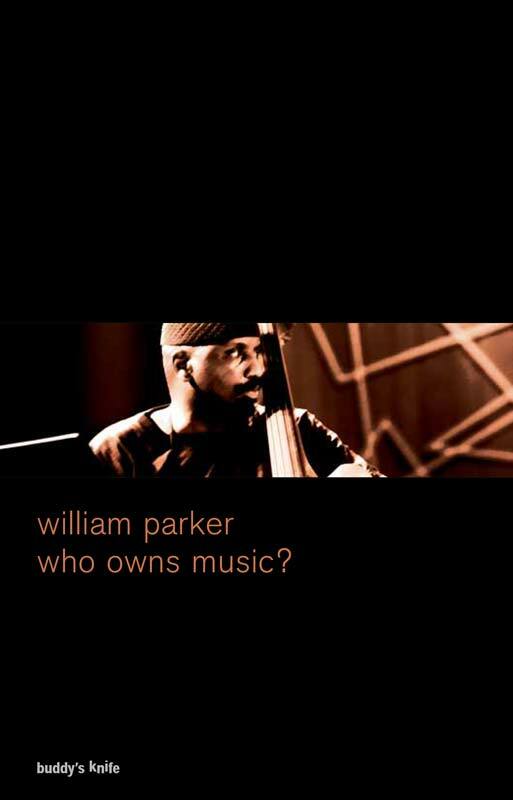 “who owns music?” assembles William Parker’s political thoughts, his musicological essays and his poems. He writes as musician, as teacher, as son, as father, but primarily as a human being, to whom it is important to contribute to shaping the world according to his spirit. The texts are both statements and dreams, just as many of his improvisations in their own right.